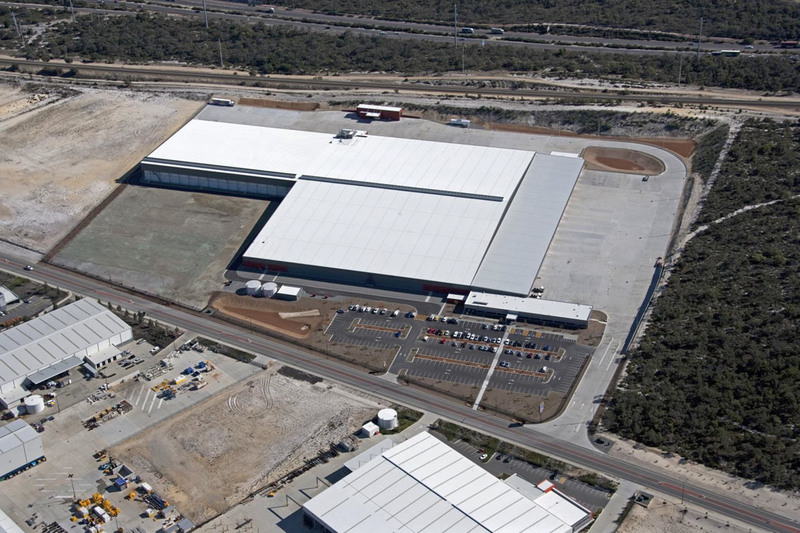 Fredon undertook design and construction of electrical works for 49,000m2 distribution centre for Aldi. The finished building achieved a 5 Star Green rating, to which the electrical works were a key contributor. Fredon designed an innovative solution to mitigate issues posed by the physical scale of the project and the length of the sub mains reticulation. The addition of a Main Distribution Board, essentially splitting the site into two parts, allowed for shorter feed lines from the onsite generator, saving cost. Positioning of the generator closer than originally planned to the diesel fill tank removed the need for an additional bulk tank. Careful review of refrigerant requirements which allowed use of approx 50% the amount originally proposed, advanced lighting control and lifecyle costing of alternative light fittings contributed to savings and environmental outcomes. 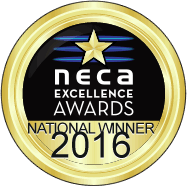 The project won the National Electrical and Communications Association (NECA) WA Excellence award for best Medium Commercial project, 2016.